One & two bedroom cabins, fully equipped and modern, decorated with a western flair. Individual living area with a gas fireplace, Wi-Fi, cable and phone adjacent to the kitchen, bathroom and private bedroom(s) with queen beds. Front porch with seating and off porch gravel BBQ grill area. The San Juan River runs along the north side on our 10-acre riverfront property. 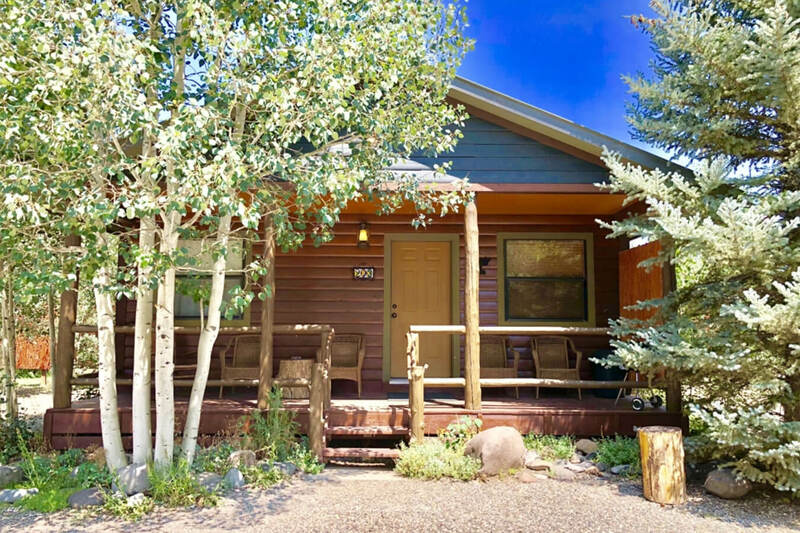 Located near Pagosa Hot Springs, shopping, restaurants, golf course, Wolf Creek Pass and only minutes to National Forest access. Horse corrals are available. Family oriented tented gathering area with campfire ring, gas grill, horse shoe pits and large yard for outside games as well as a riverfront picnic area. Catch-n-release fishing on site with private river access. Special Skier credit packages for our winter guest and we offer Discounted Passes to the hot springs all year.